Generally speaking, we're no fans of reductive labels, but these comedic vintage-style street signs are certainly something we'd like to promote. 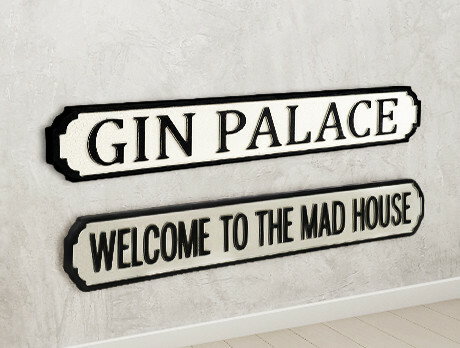 Keep your walls wacky and your guests entertained with our collection of plaques. Be it 'Prosecco Palace', 'Welcome to the Mad House' or 'Beware Of The Wife', it's time to get inventive with your interiors.